Installation: Here, There and Everywhere. 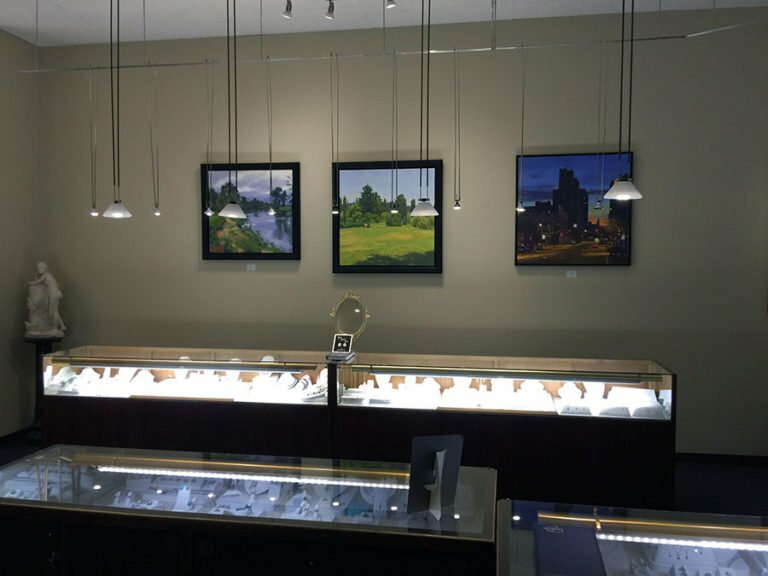 This is the installation of my current exhibition at Dodson’s Fine Jewelers, in Spokane, WA. I regret that my photographs do not do the installation justice, but it was the best that I could do under the circumstances. The exhibition will be up until December 2. Dodson’s is located at 516 West Riverside Avenue. Their hours are Tuesday through Friday 10am to 6pm, Saturday 10am to 5pm.